Tim Ramsey, former CEO of Oregon Cherry Growers, expects to put his food processing expertise to use as he takes charge of Wilco. Tim Ramsey (left), the newly-hired CEO of the Wilco farmers’ cooperative, shakes hands with Doug Hoffman, its retiring CEO, in front of the company’s new headquarters in Donald, Ore.
With its forceful foray into the hazelnut business, the Wilco farmers’ cooperative is also bringing in a new CEO with experience in the food processing industry. 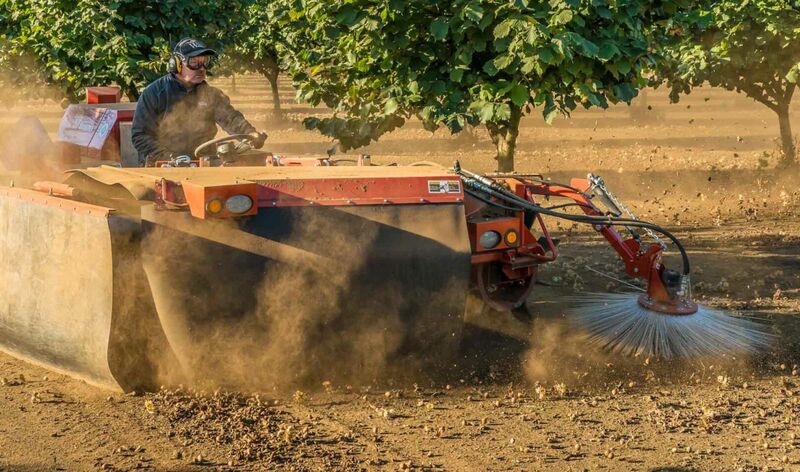 Last year, Wilco merged with the Hazelnut Growers of Oregon cooperative, adding a significant new venture to its existing businesses of retail stores, agronomy supplies and fuel distribution. The merged cooperatives will operate out of a massive new processing facility and distribution center in Donald, Ore., that’s nearing completion. By the end of the year, former Oregon Chery Growers CEO Tim Ramsey will be taking the helm at Wilco when its current chief, Doug Hoffman, retires after 23 years. As he switches from cherries to hazelnuts, Ramsey looks forward to growing the consumer market for the crop. “We want to take the lead in driving new products and domestic consumption growth,” he said. Traditionally, Hazelnut Growers of Oregon has largely been geared toward packing in-shell hazelnuts for China — a major export destination — and shelling them for food manufacturers. Since it already operates 18 retail stores in Oregon and Washington, Wilco now sees an opportunity to sell packaged hazelnut products to consumers as well. Hazelnuts aren’t widely available at mainstream grocery stores, so consumers must often seek them out at specialty shops, said Hoffman. “Today, it’s hard to find on the shelf,” he said. To compare, walnuts processed by the Blue Diamond company have a strong consumer presence, said Ramsey. As it works to increase the domestic visibility of hazelnuts, Wilco benefits from the fact they’re grown by its own farmers — modern consumers value such transparency, he said. Market research will determine the exact nature of Wilco’s hazelnut products, but history has shown that crops can quickly achieve breakthrough popularity with the right approach, Ramsey said. “Who had a pomegranate before five years ago? Look what POM (the food products company) has done with the pomegranate,” he said. Wilco’s retail farm stores have been successful at a time when the overall bricks-and-mortar retail industry is under stress. Up until now, the cooperative has focused on the Interstate 5 corridor in Oregon and Washington, but it’s exploring an expansion into California and elsewhere in the Northwest, said Hoffman. The company has found its niche in locations with a substantial population base that earns a decent income but are still rural enough for raising livestock and hobby farming. “Our stores don’t fit in all communities,” Hoffman said. 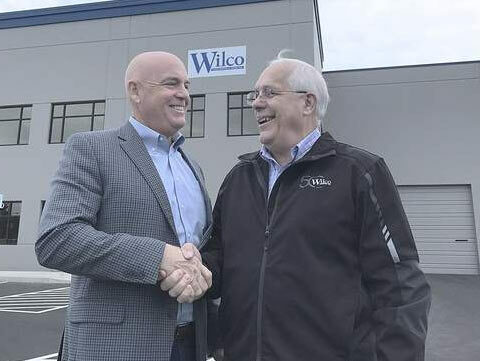 The biggest challenge for Wilco’s retail stores is e-commerce, which the cooperative aims to overcome with its own strategy for online shopping. Wilco isn’t as vulnerable to the rise of e-commerce as grocery stores, since its retail stores often sell items that are too heavy or unwieldy for easy shipping, Ramsey said. “Not everybody is going to buy T posts online,” he said. Wilco’s agronomy unit is also adapting to changes in production agriculture with its recent joint venture with Valley Agronomics and Winfield Solutions. The joint venture allows the three companies to reach more farmers over a larger geographical area while increasing their buying power for fertilizers and chemicals, said Hoffman.